The end of summer is usually a slower time at the theaters. Not this year. Our movie preview August 2016 edition shows there’s still plenty of new exciting films coming to a theater near you. It’s been a rough summer at the box office this year. Sequels disappointed. Spielberg’s latest flopped. Moviegoers aren’t going to the theaters as much as they used to. 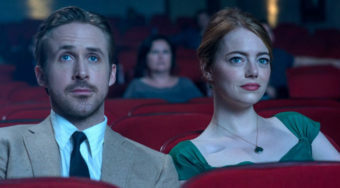 Usually, more about August would be a slow end to the summer but this year, there some of the year’s most highly-anticipated films are coming out this month. It’s possible that this month could provide the last minute jolt that Hollywood studios are hoping for. With that in mind, clinic we’re offering our movie preview August 2016 edition. Suicide Squad (August 5th): One of the most highly-anticipated movies of the years, Suicide Squad is the latest comic book adaptation to hit the big screen. Instead of focusing on good guys though, this story’s concept is that a group of criminals and thugs are released to take on an even great threater to mankind. In addition to featuring Will Smith and Margot Robbie in leading roles, the feature also re-introduces the iconic Joker, played here by Oscar winner Jared Leto. Written and directed by David Ayer, the feature is set to rock the box office this weekend despite disappointing early reviews. Pete’s Dragon (August 12th): After striking box office gold with Disney’s great The Jungle Book earlier this year, the studio is returning with another adaptation of a beloved story. Pete’s Dragon tells the story of an orphan named Pete who befriends a dragon, much too the consternation of the surrounding community. The youthful actor Oakes Fegley stars as Pete but is surrounded by a tremendous cast including Bryce Dallas Howard and Robert Redford. The film is directed by David Lowery, who previously directed Ain’t Them Bodies Saints. For a peek at the new adventure, check out the trailer below. Florence Foster Jenkins (August 12th): “The lady is a lesson in courage and we love her,” says one of the supporting characters in the trailer of the new film Florence Foster Jenkins. The drama tells the story of a wealthy woman who– despite vocal issues– fights to become a singer. Directed by Stephen Frears, the new film promises to be an inspiring journey of a woman who refused to give in to her critics. Starring Meryl Streep in the title role, the film also features Hugh Grant and The Big Bang Theory‘s Simon Helberg. Sausage Party (August 12th): An animated feature featuring vulgar language, violent death sequences and creatures facing their own mortality? That’s what the new comedy Sausage Party has to offer. The film tells the story of a package of hot dogs who slowly realize that their new owner– a consumer who purchased them in the store– plans to cook them up for dinner. It’s an odd concept for a comedy but it looks like it could be a lot of raunchy and ridiculous fun. Featuring the voices of Jonah Hill, Seth Rogen, Bill Hader, Kristen Wiig and Michael Cera, the new film could provide a lot of much-needed laughter at the end of the summer. Hell or High Water (August 12th): The new drama Hell or High Water features a family that is on the verge of economic ruin. Instead of accepting their fate, they decide to fight back. Their plan: to take on the bank that they believe caused their distress. The thriller stars Ben Foster and Chris Pine as brothers who become criminals to save their family’s finances. Written by Taylor Sheridan (Sicario), the feature looks similar 99 Homes (2014), another film that focused on a family trying to regain financial control of their own lives. That film was one of the best films of 2015 so I have high hopes for this thriller as well. 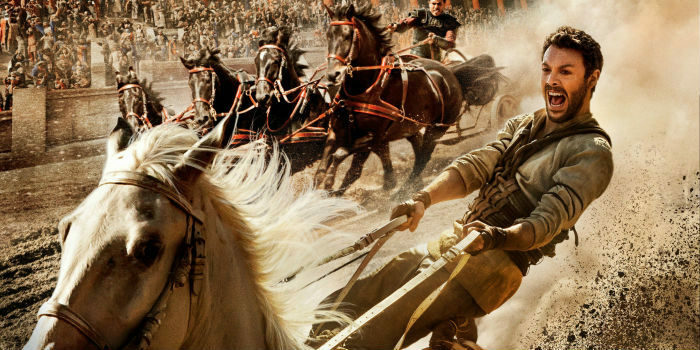 Ben-Hur (August 19th): It’s no easy task to remake the cinematic classic Ben-Hur (1959). That doesn’t mean that studios won’t try. The new remake arrives only a few weeks from now and the trailers suggest this movie could do a solid job re-telling the story of a betrayed brother who seeks vengeance against his treasonous brother. Jack Huston stars as the title character here who faces off against his brother Messala (Toby Kebbell). Timur Bekmambetov (who previously helmed Abraham Lincoln: Vampire Hunter and Wanted) directs this big-budget epic that is sure to make a splash at the box office. War Dogs (August 19th): Jonah Hill and Miles Teller star in this comedic adaptation of a true story. The hard-to-believe story of two naive and younger friends who managed to earn a multi-million dollar contract from the US government seems like an intriguing subject for a film. Director Todd Phillips, who previously helmed the Hangover trilogy, seems like the perfect choice for this outlandish tale. The film co-stars Bradley Cooper and Ana de Armas and was adapted from the Rolling Stone article Arms and the Dudes. Mechanic: Resurrection (August 26th): The mechanic is back. Jason Statham returns to his role as a brutal assasin in this latest installment. The film sets Arthur Bishop (Jaon Statham) up on a mission to target one person but Bishop’s own plans get in the way. Tommy Lee Jones and Jessica Alba co-star in this action ride. If the action lives up to the exciting scenes glimpsed in the trailer, this could be an action-packed stunner. 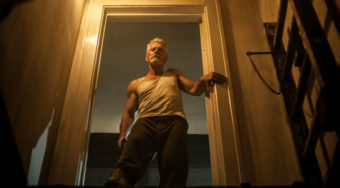 Don’t Breathe (August 26th): Three thieves get more than what they hoped for when they try to rob an older blind gentleman in the new thriller Don’t Breathe. Jane Levy, Dylan Minnette and Daniel Zovatto star as the trio of criminals who eentually face off against a character simply known as the blind man (Stephen Lang). Fede Alvarez, who previously helmed the 2013 Evil Dead remake, directed the new feature and co-wrote the script with Rodo Sayagues. If this horror film is as intense as the trailer suggests, it could be a scary ride. Blood Father (August 26th): Oscar winner Mel Gibson is back on the big screen in this thriller about a father who protects his daughter from thugs and criminals who want her dead. This marks Gibson’s first role on the big screen since The Expendables 3 (2014) and it looks like he is once again embracing the action genre. Directed by Jean-François Richet, the film co-stars and William H. Macy. Check out the trailer below. August promises to be an exciting month at the box office for moviegoers nationwide. If some of these blockbusters live up to the hype, it could be an unusually lucrative month for Hollywood. Make sure you mark your calendar for these 10 August 2016 movies.